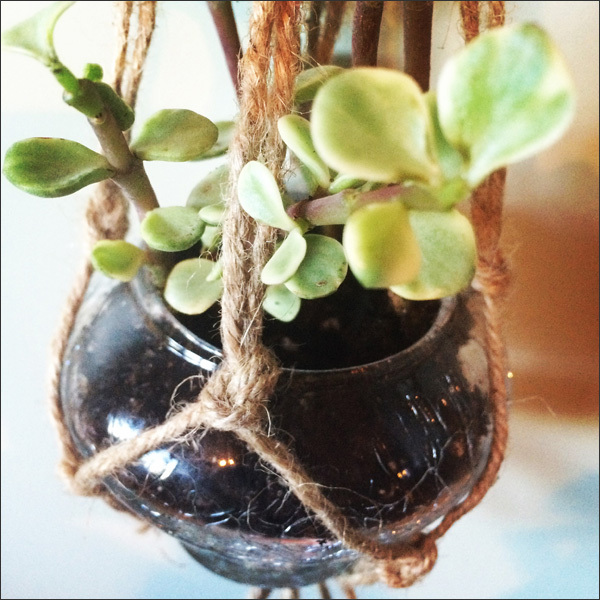 Thrifty By Design: Yay for macrame and succulents! 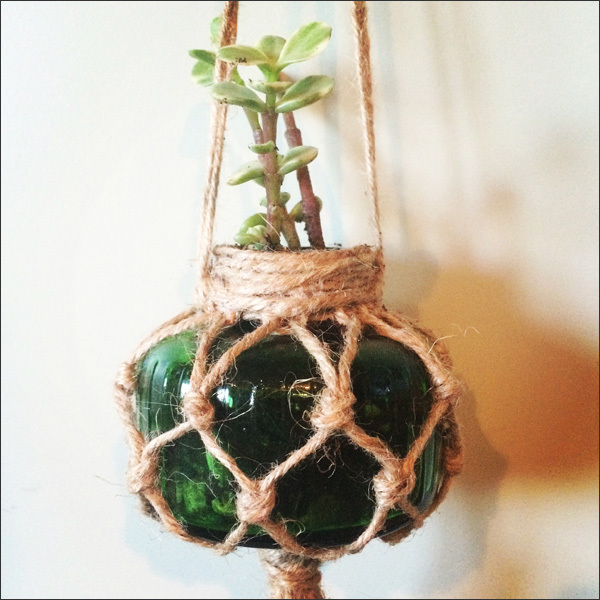 I am officially in love with macrame. Who knew?! A bit of jute, maybe some beads plus a few free minutes and you can make awesome stuff. So exciting! I had a macrame adventure yesterday. 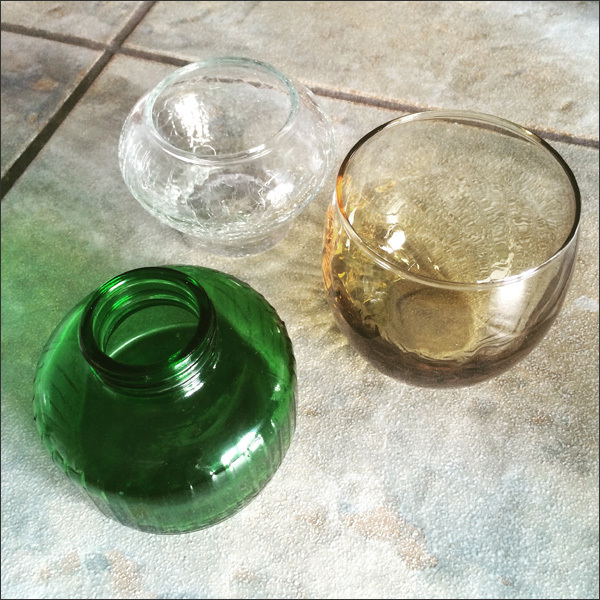 I bought some glass containers from the thrift store this week. Each costing $0.50 like this one. 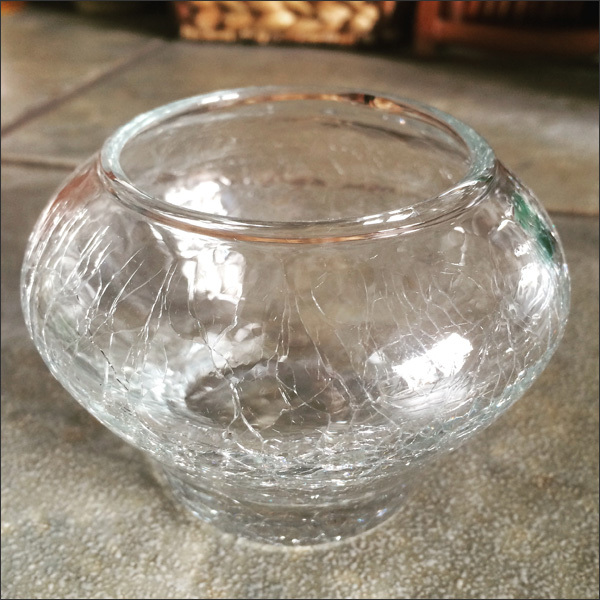 I love this candle holder with the cracked glass. Here are my mini containers soon to be plant holders. 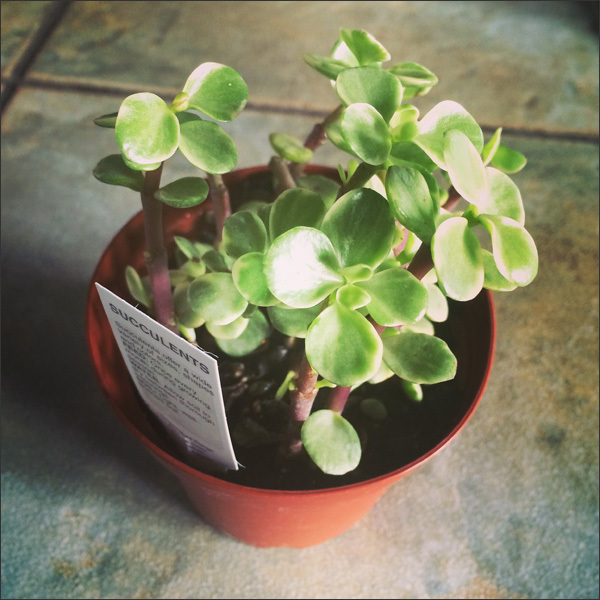 One very cute succulent for $5 and I was good to go! 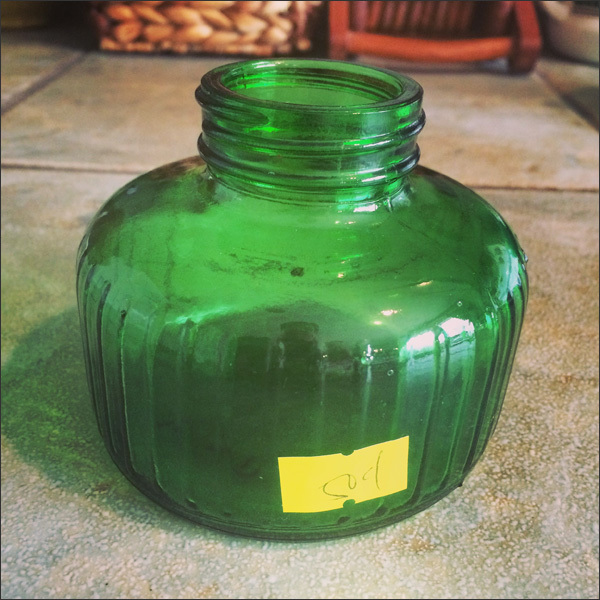 I started with the green container. 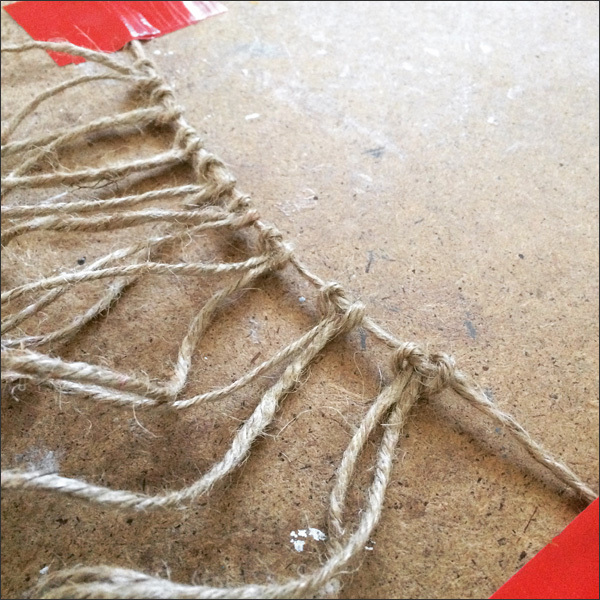 I added lark knots to a strip of jute. 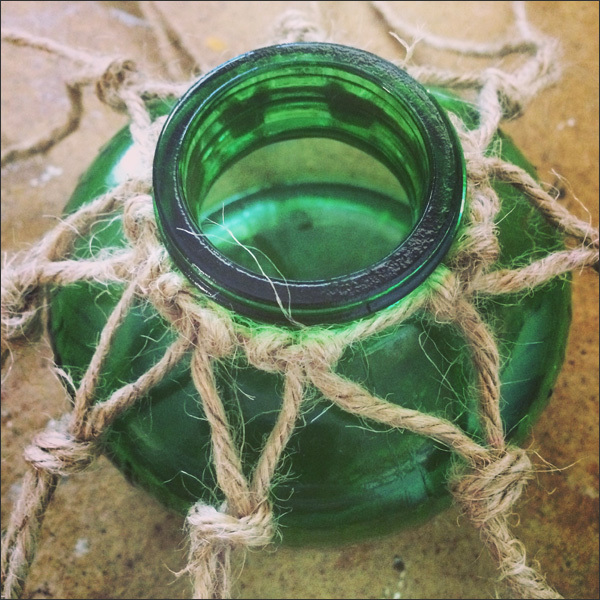 I tied the strip of jute around the rim of the green glass container then added single knots to the jute to wrap the container. So darn easy! I then tied the jute ends into a sing knot then added hangers. 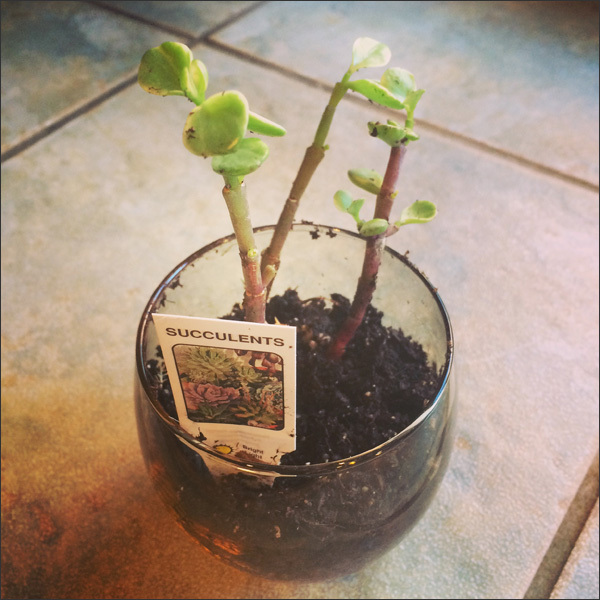 I took part of my succulent and planted it into the container. Cute! I also wrapped the rim with a length of jute. And it was done in a jiffy! 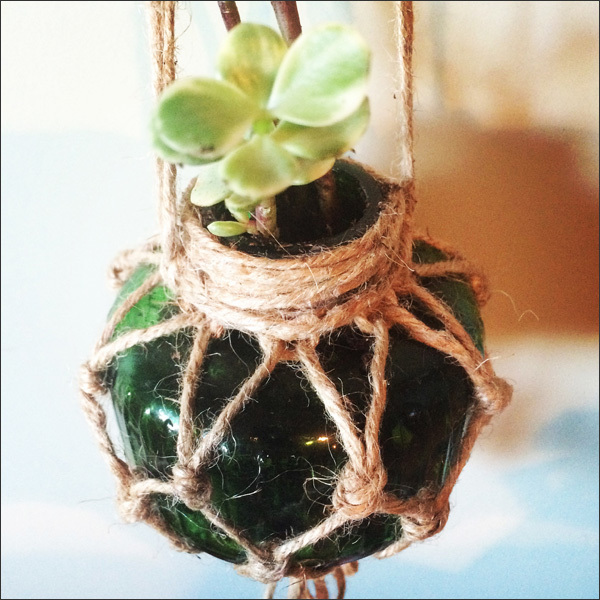 Next I added a jute macrame hanger to the cracked glass container then planted part of the succulent. I love this container. It looks so elegant! 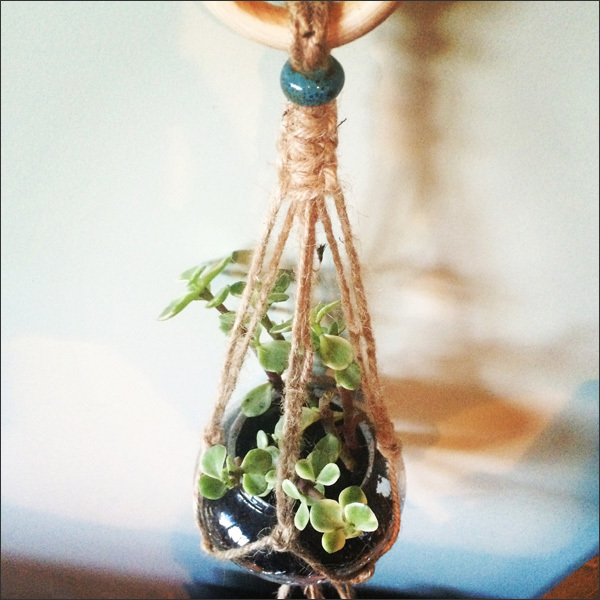 I used a wooden ring for hanging the planter then a bead and some square knots. Then used single knots to create the basket part of the hanger. I then knotted all the loose cords at the bottom. Easy peasy! And then I ran out of jute. So I have one more to do once I have more jute then I'm gifting these to friends. They're really sweet. And simple to make! 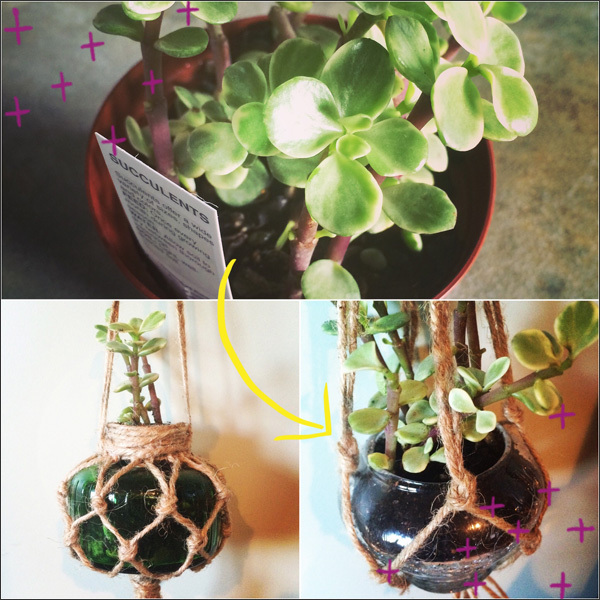 Yay for macrame! It really is a ton of fun and looks awesome! 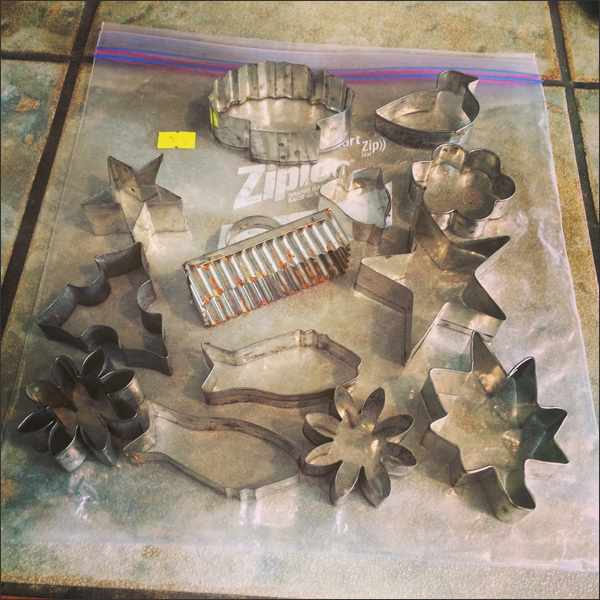 Meanwhile I bought this bag of metal cookie cutters for $0.50. What a score! I love the duck and fish cutters... Perfect for crafting!